Pack of 6 BCW Pop! Figurine Clear Plastic Storage Boxes. Designed to protect POP! 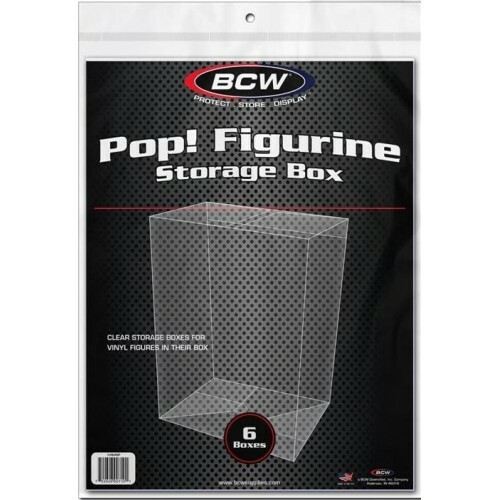 figures in their original box, BCW POP! Figurine Boxes will ensure the original box stays in mint condition. These boxes are made from PET (polyethylene terephthalate), an archival quality, crystal clear plastic that is semi-rigid and impact resistant. Do you have any questions about Pack of 6 BCW Funko Pop! Figurine Clear Plastic Archival Storage Boxes?